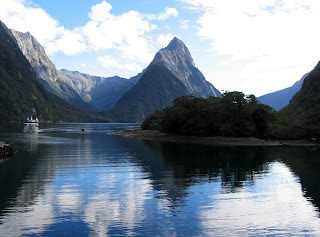 Natural Attractions of New Zealand. New Zealand has always remained a place so close to nature, its scenic beauty remain unpolluted, its air, earth and water as fresh as its time of creation. Its exquisite beaches, fjords, ice-clad mountains, pristine lakes, and even live volcanoes remain untouched by the criminal and protracted activities done in the name of development. There is no wonder that it remains as one of the hottest destination for eco-tourism; which is one of the major source of this island nation. New Zealand has a history of a ‘freedom struggle’; when the native Maoris revolted against the migrant whites. As a result the British Government took control of the administration from the migrant occupants and reached an agreement with the Maoris assuring them fair deal. Waitangi is considered a very important place in New Zealand where this agreement was signed. This place has become a symbol of peaceful coexistence. 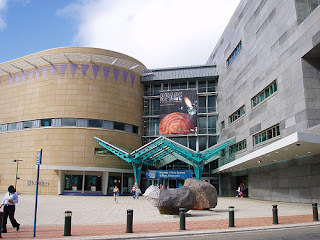 Wellington is a modern city and the capital of New Zealand. In Otego we can see the relics of the gold rush that symbolizes the endless greed of man. Napier is marked for its rich architecture; this town was destroyed in a severe earth quake in 1931. Each building, statue that dot on the way, junctions, have a story to tell; and Zeal. Andeans are only happy to part with the stories behind these landmarks. Maori is the root of New Zealand’s culture, but due to migration; people from various parts of the world have come to live here adding varieties to the art, architecture as well as mythologies to the place of their origin. Now they all are in the process of amalgamation to form a unified culture; that is exclusive to New Zealand; a unity in diversity to be precise! Doubtless Bay, Bay of Plenty, Secretary Island, Resolution Island, Doubtful Sd, Bluff, Kidnappers’ Cape; are all coined by the immigrants where as the native names are sweeter still. Putakuru, Raukumara, Opotiki, Ruapehu, Rangitata are just some of them. New Zealand has a coastline of about 15,200 kms, in the east is the Pacific Ocean with its coasts of pure white sands and offers very safe entertainments for families. That is not the case with the west coast where the Tasman Sea pounds heavily against the stubborn cliffs and hard and weathered rocks. The sand that stretches the coast is black. There are tour operators conducting tours parallel to the sea touching all beaches. Bay. Other islands also have many places of attraction. There are ferry services from Auckland to inhabited islands like Waiheke and Great Barrier. Waiheke has farmlands, vineyards, forests as well as a beautiful beach. Great Barrier is a bit rough terrain good for hikers. Rakiura (popularly called Stewart Island) is the biggest of them while Wellington, Tiritiri and Kapiti North are all with reserve forests with its flora and fauna well cared for. They all have enough wildernesses to please any visitors who seek tranquility and enough hiking facilities for those who seek some adventures like hiking. Being rich in bird species those who are interested in watching them also get some thrill. There are boats for hire or join any chartered tour to find all the treasure islands scattered in the sea. Geological phenomena of all types like tectonic plate movements, fault lines, live volcanoes, glaciers etc are available in these small islands. This area comes under the Pacific ring of fire, where the earth’s molten lava occasionally is so close to the surface that mud boils! Tectonic plates that -float on molten lava far below the grounds- support the landmass move and at times one forces the other causing fault lines, New Zealand is on such a fault line which occasionally shivers, the numerous fjords on its coastline are said to be formed of these occasional shivering! Here live volcanoes rub shoulders with glaciers. This region is rich in active volcanoes the craters formed due to their eruptions got filled with water in course of time these are the volcanic lakes. Taupo in the Northern Island is the biggest among crater lakes and rich in trout population. The North Island has more lakes like Manapauri, Wariake and Hawea. Dune Lakes are depressions on earth’s surface (between sand dunes) filled with water. They generally have banks and bottom of crystal clear white sand. There are three such lakes in Kai Iwi in North Island there are three dune lakes and at Levin on the West Coast of North Island there is the most beautiful dune lake ‘Papai Tonga’ with clean white shores and clear water. This lake is also rich in bird varieties. These lakes are good destination for rest and unwind and can also be used as a point of rest while traveling between distant locations. There is a plus point as trout fish is in abundance in these lakes, some happy time can be spent catching fish. The Southern Island is also rich in these types of lakes, of which Lake Te Anau is the largest which is 344 sq km is area and there are 34 islands in this giant lake. Appareled in a celestial bliss! 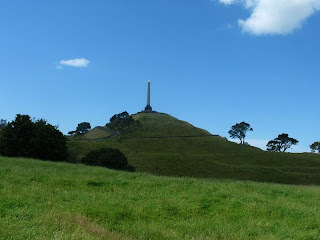 Not just wild locations; there are good viewings of the urban panorama from hills like Mount Eden at the Eden Island and the other the One Tree Hill at Auckland. Mount Victoria at Wellington also is such a location which enables the viewer the scenic beauty of the Wellington city. In wherever you go or look there are unusual sights as far as New Zealand is concerned; there are unbelievably strange looking boulders in Moera Ki at the Otego Coast that can be seen while travel. There are altogether 14 National Parks in these small groups of islands that means a good potion of the land mass is allotted to these parks. No doubt the low density of population can be a factor behind this largesse; but the determination of the authority to protect and conserve its natural wealth and its plants and animals is remarkable. But for these measures whole New Zealand would have turned desert due to extensive sheep farming which is still playing a prominent role in this nation’s economy. Be Columbus or Marco polo. God Almighty gives every human being an opportunity to pay a visit to this planet earth that we call birth and after this designated visit he has to return to his abode and we call it death. It is the duty of a visitor to witness all the wonders the creator has bestowed on the planet earth. Man is basically a nomad and his soul never gets fulfilled in a so called ‘settled’ life; which is not only boring but against the rules of nature. It has been rightly said about Bhagvan Rajneesh “never born; never dead; just paid a visit”. Take the life as a visit; go places fulfill the urge of your soul and after the ‘visit’ return with a mindful of memories. There will be the big ‘G’ to whom you have to unroll the travelogue. There are exclusive locations, grand cruisers, great company to mingle with and lavish packages; all for a fistful of dollars; and available just a phone-call away. The recent fad of cruising is astounding, an adventure few people only dared beforehand; first turned out to be a rich man’s craze and then it has spilled in to the common man. Not just the old and lonely; full family with man wife and children take to cruise and experience the wonders of the earth. In recent time competition between operators has made cruising not only cheap but very amenities have been added extra to make the packages attractive. In short visitors are kings in a world where operators strive to survive. Alaska, Australia, Hawaii and the whole Europe, or Bahamas, Bermuda or the Caribbean Isles; choices are many pick what is fit to the pocket. A cruiser offers company that never available at home or native place, no tensions of running house, no worries of traffic jams unadulterated leisure and unlimited visual experiences. What about a trip to Alaska the snowbound state of America, what about a romantic trip to the tourist friendly Hawaii, or to Europe – a union of several independent states connected with a rail and a currency like beads in a string? Alaska is not all snow and ice, in plain language it is the land of ‘extremes’ as it is placed at the extreme north-west of the continent. Its climate is also extreme (those area adjoining the sea especially the southern parts have temperate climate), Alaska has the tallest mountain in the continent, it has the credit to own a string of live volcanoes, there are about 3.5 million lakes! Extreme wilderness (Alaska is the most thinly populated are in the continent; 0.284 people per sq KM). 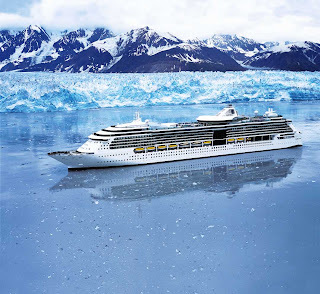 Alaska Cruises :- All these extremes do not make this land barren, it is inhabited by several large mammals like Crizzly Bears, Black Bears, wolf, caribou and several fish, reptiles and amphibians. The fish include all varieties of salmon, trout fish etc; the trout has the status of the ‘State fish’. About sixty percent of the land part is reserved for the protection and survival of all these animals (The Arctic Wild Life Refuge is 93,100 sq km in area! Tourism being the main source of Alaska all facilities is arranged to the tourists’ pleasures in a business like fashion. Juneau the state capital fronted by the Gastineau Channel is comfortably placed between two mountains; is a place filled with fun; one can fly over the Hubbard Glacial fields, Juneau ice field in a helicopter or just slide in a dog-sledge like and Eskimo, Skagway is a hot spot a narrow gauge railway is filled with tourists to savor an inexpensive sight seeing. Seward a fishing village; also offers rare chances for wild-life watching. Denali has the pride possession of the National Park which is so vast and endowed with typical tundra fauna. Hawaii –the land of the bold! No place on earth welcomes tourists as warmly as Hawaii does and offers them so much diverse and spectacular sights. The open bold approach of these people flushes out the inhibitions and reservations of the visitors and makes them a far different tribe than what they used to be, that is the magic of these group of isles with world’s most magnificent beaches. Those who fear to go out with a gown may dare to wear the boldest attires all these are taken for granted in this part of the land. Either sit or walk or play. 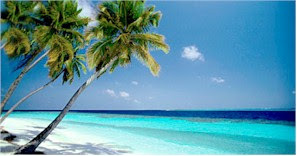 Hawaii Cruises :- Hawaii is a string of islands like Hawaii, Maui, Oahu (capital Honolulu) and Kauai etc. Maui is the second largest of the group is the ideal spot to unwind, simply sitting on the beach and watch people enjoying best part of their life, or stroll through the pastoral villages watching the variety of culture and lifestyle of people so joyful and content no money can fetch. Those who wish to take part in the revelation have all the amenities to be active. Maui is selected as the best of the Hawaiian beaches. Oahu is the island blessed with the marvelous beach Waikiki, the most colorful and sunny beach golden sands. One can climb on the Diamond Head heights to have a panoramic view of the entire beach. Honolulu the capital of the state is one of the most tourist friendly places in the world. Pearl Harbor the legendary port which dragged America in to the midst of World War 2 is located in this island the base still there. Maui, Unwind and refresh or be part of the game! Europe, The torch bearer to the world. European Cruises :- There is no doubt that the modern world has simply treads along the path traveled by Europe years back. The Great Greek and Roman Empires, the Renaissance Movement of the 16th century, Enlightenment of in 19th century, Industrial Revolution of the 20th century, two World Wars that churned the history of the world, rising and setting of Communism all were originated in Europe and later spread to the whole world turning the course of history. Europe’s leadership does not end with old times; in these modern times it is there as the forerunner as modernity. Spain itself is with a heritage of centuries and a main player in the colonial era; and Barcelona is the capital of Catalonia Province and one of the oldest cities in the world. It has got an urban beach that can excel any other in Europe. Barcelona is typically Mediterranean and in culture, life and architecture. There are more than one World Heritage cites (Antoni Gaudi and Luis Domenoh i Montaner) revealing the depth of Catalan architecture. Barcelonans are a joyful lot and their Merce Festival (holiday festival) celebrated in Garcia, Sants and Poblenou are crowd pullers. Museu Picasso is a must see location. Venice Italy, classic to the core. The city that floats on water is so exquisite a location; numerous canals lakes and buildings that located touching the waterfronts are all exclusive. The gwandola (got replaced by water taxis recently) boats that crisscross through the waters are available for ride hearing the folksongs of the oarsman. The Carnivals celebrated before Lent each winter are one of the major attractions, people parade wearing masks and strange dresses through the crowded streets and tourists flock; at times onlookers join the ranks adding fervor. Piraeus Athens Greece, since 500 BC still ticking. Ancient city built by Hippodamus in around 500 BC, still it remains as the largest port in Mediterranean and the third most populated city in Greece. Acropolis a marvel in ancient architecture is a must see. Zea now known as Pasalimani is most glamorous marina in the area. Piraeus has the credit of having a number of star hotels and an active nightlife. It is endowed with numerous art galleries where ancient and contemporary paintings rub shoulders (Atelier Spyros Vassiliou, Pandora and Athens Art Gallery etc). 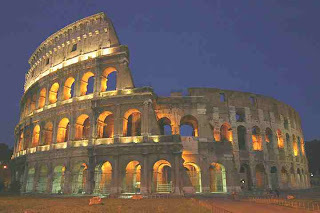 For centuries Rome was the source of the cultural, historical and social fabric of the whole Europe. Italy as the epicenter of that great Empire; shares credit for all the dramatic and complicated historical events unrolled all through Europe. The history of Rome (it is the history of Italy as well) starts from the tribes settled on the banks of River Tiber during 2000 BC. When the Etruscan forces which took over the area and established a mini empire which covered adjoining seven hills beside the River Tiber (1300 BC), the ball was set to roll for the birth of an empire. Since then Rome had seen many emperors and conquerors as well as ‘barbarians’, many rivers of blood have flown and many heads rolled. By BC 146 Rome became invincible with the defeat of the Carthaginians in the Punic wars (a major empire at Tunis in the Mediterranean coast of Africa in BC 814; found by Phoenicians). Julius Caesar, Pompey and Cleopatra. Caesar’s era is the golden time in the history of the Roman Empire, a major part of the hemisphere came under the rule of the Roman Empire with the annexing of France and Egypt. While Caesar controlled the western forces, the Eastern side was controlled by Pompey; his general. Pompey tried to rule the lands he amazed and conspired with the Senate in ousting Caesar. Caesar was made of sterner stuff he bravely fought with the forces which stood with him (BC 49) and entire Italy came under him within 60 days. Pompey had to go exile and die there. It was on pursuit of Pompey; Caesar reached in Egypt and happened to get associated with Cleopatra. 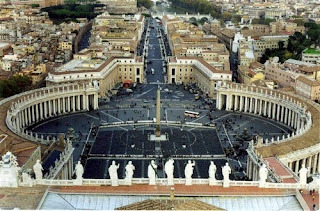 When Christianity gained strength and became popular (after Emperor Constantine embracing Christianity), it was Rome it found as its center of power. It was the defeat of Augustus the concept of a ‘Roman Emperor, itself became history; in a sense that can be taken as the beginning of death of an empire. But Christianity could outlive Rome. The physical might of Romans gave way for the Spiritual might of the clergy. The dictates of the Pope were law (it still is for the millions of Christians spread over the world). Italy’s past like a big budget movie. All the above are only history comparable to a big budget war movie with enormous sets and numerous characters, now that Italy has become a modern democratic nation and all these historical events associated with the Great Roman Empire have only the relevance of a rich mythology or food for some nostalgia. When India and Greece built their culture with rich imaginations of their forefathers, the Italians have made them with men of flesh and blood, a long series of historical events spanning many centuries; far stranger than any mythology! Benito Mussolini –although a negative figure- is a factor that turned the course of Italian history. He started his life as a school teacher; later took up pen to gain ultimate power and succeeded when his party (Fascio de Compatemento) marched to Rome to capture power. His extreme nationalistic slogans could capture the ordinary people who were disillusioned with the after effects of the disastrous World War1. He led Italy to the World War 2 and the rest is history; as the adage goes! His end coincides with the end of World War 2, when while trying to escape to Switzerland; Mussolini along with wife Clara Pettachi was shot dead without trial. But the word ‘Fascism’ his pet word still lives! 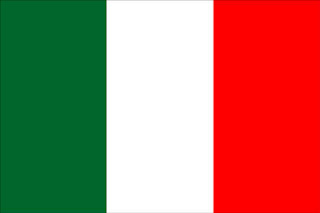 Italy is world’s seventh largest economy and a member of the European Union. 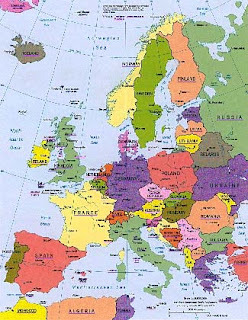 It is a modern nation with 100% literate population, located in the Southern Europe, land area is 30, 1230 Sq KM and population is 58, 00, 0000. Population is mostly Roman Catholic (90%), but Protestants, Muslims, Jews contribute sizeable minorities. Italy is a Republic and its head of the state is the Prime Minister. Italy consists of the peninsular portion and two islands Sardinia, Cecily, along with two independent nations like Malta and the Vatican. Its coastline is 8500 KM long and there are major ports like Venice, Jenova, and Taranto etc. Italy is protected by two great mountain ranges the Apennines and the Alps. When the Apennine stands tall as the backbone of this nation from its southern tip to the northern end where it joins with the Alps. These mountains give birth to major rivers like Po, Rhone, Adige, Tiber and Arnos etc. If Apennine is its backbone River Po is its life blood. These river beds hosted human population since time immemorial and served as the cradle of the ancient civilization prevailed there. Italy’s neighboring countries are France, Switzerland, Austria, and Slovenia on the northern part from west to east. The southern part is surrounded by five seas like Liguria, Tyrrhenian, Mediterranean, Ionian and Adriatic seas. Seas, mountains rivers and lakes! These mountain ranges and rivers not just serve as a source of fresh water but add beauty to this nation, there are numerous lakes between these ranges which are virtual paradises for tourists. Lake Garda which lies between Lombardy and Venetia, Lake Maggiere, and Como etc are all adding charm to the scenic beauty of the mountain ranges. There are many mounts in these ranges like Mont Visio from where River Po emerges, Mont Blanc, Italy has its fare share in volcanoes also like Etna (is a live volcano)and Vesuvius (famous for its catastrophic outbursts, but asleep for the present) etc. Italy has 8500 KM long coast line which lies Caressed by five seas, while the Apennines Mountain ranges is its back-bone; River Po one of the three great rivers of Europe -the others Rhine and Rhone-is Italy’s Juvenile. The Apennines that stretches up to the southern tip of the nation; joins with the Great Alps of Europe in the north and Italy comfortable nestles in the semi-circle formed by these two mountain ranges. River Po that originates from the Mont Visio peak of the Alps is joined by many small rivers from the Alps and it flows to a distance of 652KM non stop to the Adriatic Sea enriching the whole northern part of Italy. Tiber (length 406 KM) which passes through important places like Rome, Vatican and Florence etc is considered more divine as it is watercourse of the Holy City. Tiber is to Italy as Thames is to Britain –liquid history! As most of its historical events have taken place on its banks. It originates from the Apennine Mountains at Tuscany. Arno a major river that touches Pisa is 241 KM in length. It falls in to the Tyrrhenian Sea. River Adige is the second longest after Po which starts from Lake Resia (between Austria and Switzerland flows eastward and fall in to the Adriatic. Being a mountain river it often causes severe floods and the underground tunnel built to connect it with Lake Garda is meant to tame its severe volatility. It is the largest lake (surface area 367 sq KM, maximum depth356 mtrs, length 52 km and width 17 km) in Italy located between Venice and Milan in the Alpine Region. This lake; a major tourist destination is believed to be formed of ancient glacier, Italy has done everything to harness the tourist potential of this lake and this area has turned out to be a one stop shop for entertainment for the pleasure seekers and it is dotted with numerous bars, spas, hotels. There are 5 islands in this lake and Isola del Garda is the biggest of them. Lake Resia; for whom the bell tolls. It is an artificial lake located near the Resia Pass near Bolzano- Bozen; is the largest in Alto Adige; made to control flash floods; numerous rivulets join this lake where as Adige is the only outlet. The construction of this dam has caused the submergence of an ancient town that prevailed in the 14th century. The upper portion of a church tower (Campanile) is still visible to the viewers and during winter; when the river water freezes one can walk to the tower! There are many people who still hear the toll of the church bells during the dark and desolate hours of night! Resia Pass is the ancient mountain-pass of about 1504 M in length that connects Italy with Austria very near to Switzerland, this pass connected the people lived in the Adige Valley and the those of the Valley of Inn. Lake Maggiore is the second largest lake in Italy but comes first in its scenic beauty; there are ferry services that run between Italy and Switzerland; which is a big hit among tourists. This lake offers a sunny microclimate that is most enjoyable to the visitors. The best time to visit is between April to October. If lucky visitors can have the enchanting vision of Monte Rossa coming out of the clouds and revealing its scenic charm shining like silver in the early hours of the day. Lake Como located in Lombardy Italy is one of the deepest lakes in Europe and it is fed as well as drained by the Adda River. 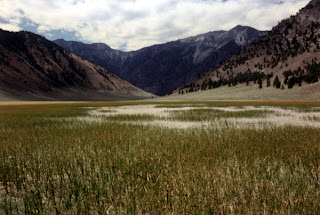 It is a ‘Y’ shaped Glacier Lake and serves as the source of River Lambro. Como is the most favorite destination of almost all celebrities in the world and the villas that dot its banks are the most expensive locations in the world. In glitz this location easily outpaces all other tourist places in Italy; as its client list extents from Arnold to Gorbachev. Michelangelo (La Pieta, David etc), Galileo Galilei (great physicist), Dante (Devine Comedy), Leonardo da Vinci (the greatest genius ever born, painter sculptor as well as inventor creator of ‘Mona Lisa’, Last Supper etc), Boccaccio (author of De Cameron), Carlo Collodi (Pinocchio), Raphael (painter), Amerigo Vespucci, Christopher Columbus, Marco Polo are all sailors par excellent, the list of great men from Italy is too long to be written in article like this. It can be put in a nutshell “Roman from Rome” meaning Rome being so great a Roman can’t be less great. When at Rome do as the Romans. Florence –the city of flowers and birth place of Dante, Michelangelo and Boccaccio, Venice the city that floats on scenic waters and were the ‘Venetian glasses’ are made, Pisa that hosts the leaning tower from where Galileo dropped a feather and a coin to test gravity, Turin –the Fiat city; also known for the shroud, there are much more in Italy. 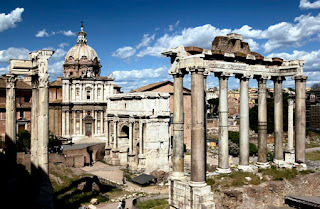 “If you ever wish to see a single city go and see Rome” as ‘all roads lead to Rome’, the city of seven hills’ or the ‘eternal city’ that ‘was not built in a day’, All sayings about Rome shows how much influence this ancient city has on human culture, where ancient monuments rub shoulders with the latest high tech structures. France – The other word for beauty. Its language poetic, people beauty-conscious and fashionable, its beaches clean, and mountains romantic, altogether the word France spells, class and charm. Top artists poets, philosophers, revolutionaries all jointly add a touch of unearthliness to this part of the land. 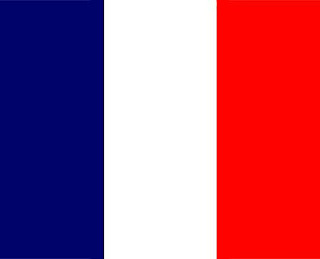 A model state in secularism, which treats people of all caste and creeds equal and a paradise of human independence and innovativeness, France has always approached issues in a philosophical angle (the recent ban of girls wearing veil at school, and people dressing odd to expose their religious faith had attracted much ire from fundamentalists, but France stood firm on its principles), this firmness is something unthinkable to other countries which ardently vouch secularism in every breath. .
France is in Western Europe, with an area of 547,000 Sq. KM and population of over 64 million. Its literacy level is 99% and leading religion is Roman Catholic (85%) but Protestants (2%), Jews (1%) and Muslims (Muslims 10%) also contribute sizable percentage. Capital is Paris -the most fashionable city in the world- main port is Bordeaux, France has number one position in attracting the largest number of international tourists. It is a democratic republic and the President is Nicolas Sarkozy and the Presidential Palace is Elysee. France is a member of the European Union and hence its currency is Euro (formerly it was Franc) common to all European Union members. 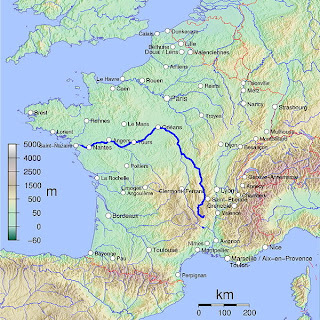 Rhine, Rhone, Seine, Garonne are the rivers and Cannes (the film city) Lyon, Toulouse, Chinon are its big cities other than Paris and Bordeaux. There is no dearth for great men in France and to cover them this three page article is not enough, so only very few names could be mentioned for brevity. Jean Baptiste Poquelin (popularly known as Moliere) the French dramatist, Victor Hugo, Emile Zola, Honore de Balzac, Jules Verne and Alexander Dumas etc are just some of the few names, Jean Paul Sartre (the ‘existentialist’) and Albert Camus were the most influential writers of the yester years. Pierre Cardin, Christian Dior and Paul Poiret are some of the world famous fashion designers who made Paris great. Jean Luc Godard, Luc Besson, Jean Renoir, Jean Vigo are wizards of the film industry. Paul Cezanne, Gustave Courbet, Claude Monet and Claude Monet etc are painters internationally acclaimed. Montesquieu, Jean Jacques Rousseau, Simone Weil and Voltaire etc are world renowned philosophers who played roles in framing French minds. Pierre and Madam Curie, Laurent Lafarge, Antoine Lavoisier, Claude Levi Strauss, Louis Pasteur, Andre and Edouard (discovered pneumatic tires for automobiles) and Andre Lwoff etc are pioneers of scientific revolution. There is no end to the French names of Nobel Prize winners. Joan of Arc is the French Icon for woman power as well as an unsolved mystery where as Napoleon, De Gaul were makers of history. Giovanni Da Perasano, Cartier and Jack etc were all great sailors behind the colonial ambitions of France whose expeditions made France able to reach international waters. ‘Assets and liabilities’ of a bygone era. The European part of France is the ‘Metropolitan Region of France’ where as French Guiana of the South America, Guadeloupe and Martinique of in the Caribbean Sea, Reunion Island of the Indian Ocean are the Overseas Regions coming under French Republic. In addition to these Overseas Regions there are small parts of lands by name Moose Overseas Regions known by name collectives like St. Pierre Michelob, Wallis and Petunias etc. Some mini-islands like French Southern Land, French Polynesia, New Caledonia, some islands in the Indian Ocean etc also are part of the French Republic. All these regions enjoy the same rights as the other regions of the Metropolitan France. These former colonies are to an extent some ‘assets’ or ‘liabilities’ of the former colonizing era. Perhaps of the great events France has contributed the world to remember its ‘French Revolution is the greatest. 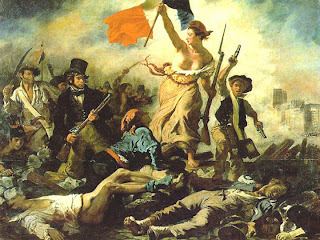 It is a slogan of the radical that ‘revolution is the celebration of the people’ the French Revolutions was a ‘celebration’ of the people in all sense a celebration of blood! France was ruled by King Louis 14th an embodiment of inefficiency. And its assembly had three houses known as ‘estates’, Lords, Clergy and Commons. The commons who scrambled for more power quit the house and took pledge of revolt in the Tennis Court’ pledge and made the king sign a treaty to assign powers to the commons. Later the foolish king dismissed the Prime Minister and tried to dissolve the Assembly. That was the bursting point it all started with the breaking of the Bastille jail and in the ensuing mayhem (‘reign of terror’) about 40,000 perished. Charles De Gaul the father of Modern France. The post World War II developments were time of agony for all European nations and France was no exemption, its problems were accentuated by a coalition government with parties of contradictory policies and a president with no real powers to straddle the nation. When the government crumbled public election was held on 1958, French people elected the ‘Gaullist Party’ led by Charles De Gaul and he assumed power as Prime Minister. By 1958 Charles De Gaul was elected the President of French Republic and thus France set the first foot to its thousand mile journey to become one of the most powerful nations in the world. France was a colonial power and it controlled about 9% of earth’s land area, its vestiges are scattered all through the continents even now. It all started with the annexing of Acadia of North America (1605) and did end when Algeria that last colony that was freed in 1962.The history has marked the French Republic in to several stages and the early colonial period is the ‘First French Republic. It is Napoleon the ‘author’ of the second Republic, with the annexing of Algeria he could set the ball running and progressed with capturing Vietnam, Cambodia, Laos forming Indochina, and even partly swallowing the giant nation China as well as many parts of Africa. After the defeat of Napoleon in the hands of Britain; rebellions followed and in 1871 the National Assembly was formed this was the Third French Republic with a newly formed constitution. During this is a golden period in the history of France and it could rise to the status as the second world power after Britain. The Second World War altered all scenes and Germany played the role of the villain by attacking and capturing many parts of France and De Gaul had to go on exile to Britain; there he formed ‘The Free France Movement’. Germans could not rule France with ease and had a tough time facing the Guerilla warfare under Macquis. Final assault by the Alliance forces put an end to the vicious German rule; De Gaul returned to rule giving birth of the Fourth French Republic as usual with a new constitution. By this time France was in shambles facing so many rebellions and fighting so many wars; drastic measures alone could revive it. De Gaul was quick to find the root-cause of France’s illness; he modified constitution and made the post of President as the real source of power who will be elected directly by the people. The weak executive -which could not handle ever spreading irresponsible revolutions-, was made strong and this helped to contain rebellions. Automations and modernizations were introduced into farms and factories. The economy France as a result became modern and competitive; French army was also strengthened and modernized and France came to possess the hydrogen bomb –the ultimate statement of technological superiority. France rose to the status of an atomic power but De Gaul was not a good friend of America, he opposed the American superiority in NATO and got the Americans to remove the atomic weapons stored in France removed. France began to flex its muscles in the international affairs too; De Gaul supported communist China’s membership in the UN and sent the NATO Army away from France to the ire of the big brother. France could launch satellites to space expressing its progress in technology. His own success proved to be his worst enemy, in a move to contain him one resolution intended to change constitution was defeated and De Gaul left the political scene with a wounded ego to his native village to lead a private life. Why people of France revolted against De Gaul is still discussed, one explanation is that a lot of people lost jobs and livelihood due to modernization and automation initiated by De Gaul, but in the forefront were students and youth; for whom loss of jobs was no issue negates this claim. One conclusion is that strike, street demonstrations and rebellions were resorted by the people of France to gain justice for a long time and they all got addicted to this habit and they could not contain it for long and they did not want De Gaul to go! Trucks that run over the French. The recent serial strikes by truck drivers of France to get early pension also can be cited as an example for this habit of eternal revolt. Strikes are for them a peoples’ celebration, where will it lead the nation remains to be seen. When Bernard Thibalt of the truckers union (General Union Confederation) gets angry; whole France shiver with fear, even its President, Prime Minister whole great men and common people included! Cry for this beloved Nation which frequently gets run over by heavy trucks! The hands that hold the steer ring must be given a chance to rule so that roads may not be blocked thereafter and at least people could travel. 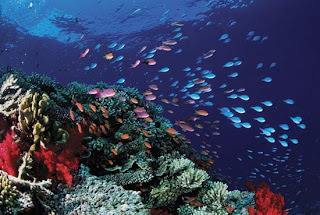 Oceania denotes the mid-south part of the Pacific Ocean with numerous scattered islands. There are about 25,000 islands in this area including Australia and New Zealand. New Zealand is a ‘small’ and ‘young’ nation- small as it has only a combined area of about 268680 Sq. K M- comparable to Britain, and ‘young’ as it has only a short history of about 700 years of human inhabitation. The capital of New Zealand is Wellington, Oak Land, Hamilton, Christ Church are the main cities. Though small in size the nation’s principled stand on ecology, non-proliferation of atomic weapons, and international as well as domestic affairs makes New Zealand a leader as well as model for all peace loving, and ecology-friendly people of the world. Bold women and model men. In gender equality New Zealand leads other nations by leaps and bounds; it has already implemented reforms several ‘advanced’ nations can’t even think of. It is the first nation in the world which granted equal voting rights to women. The British Queen - even though ceremoniously- is the head of this New Zealand. Its Governor General (Sylvia Cartright), Prime Minister (Helen Clark), Speaker (Margaret Wilson) and Chief Justice (Sean Alias) like these there are no center of power not accessible to its women and they have creditably managed these posts; inviting accolades from all parts of the world. These are reforms even the most ‘advanced’ nations can’t even dream of. New Zealand has no pretensions to pronounce about its sovereignty and it still shows its lenience to the British Crown. To understand the frank and no-nonsense approach to sovereignty that should be read with the hypocrisy of the so called big and ‘sovereign’ nations who claim to be sovereign letting its own people to starve. New Zealand by God’s grace is not led by propagandists; matured political decisions and foreign policies has been the norm for this tiny nation of islands. A country of long white clouds! 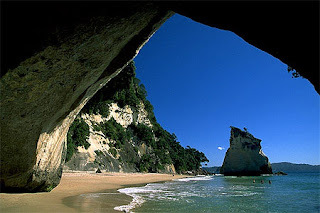 New Zealand is comprised of two large and several small islands in the Oceana Region at the southern part of Australia. The Tasman Sea divides the two nations; there is a distance of about 2000 KM between these two countries. The indigenous people of New Zealand call their land ‘Aotearoa’ (ao = cloud + tea = white + roa = long) meaning long white cloud. No one is sure how such a beautiful name came to be called. Maoris the original inhabitants forms a miniscule minority (they constitute less than 15% of the present day population) owing to the influx of Europeans, but their culture and welfare are well cared after. The Maori culture is the basis of New Zealand’s heritage; their ancestors were Polynesians who brought along with them a unique and beautiful life-style when migrated to this uninhabited land as fishermen and hunters. The early history of New Zealand is marred by blatant exploitation of the innocent tribes. The Maoris loved art and they decorate their boats, tools, weapons and houses with beautiful images, they decorate their own body lavishly with heavy ornaments. Incessant migration of Europeans worked havoc in a society; their land was looted, their culture was adulterated and they were driven out from their villages many perished in newly introduced diseases while many died in confrontation with the migrants who had guns. In1839 the British Government took charge of the New Zealand administration and ever since much of the wrongs committed have been corrected. An agreement signed between Britain and Maori chieftains (Waitangi agreement; to commemorate this event every 6the of February is celebrated here as Waitangi Day) gave supreme power to the British Crown over New Zealand and brought an end to the repression of the tribals by unscrupulous migrants. The present day government is sensitive not only of the rights of the tribals but the whole ecology of the nation as well. Government’s stringent measures have made New Zealand one of the most unpolluted places on the earth. New Zealand Nuclear Free, Disarmament and Arms Control Act 1987 is a model act for every nations. This act bans entry of nuclear powered ships or nuclear arms in that nation’s sea limit. With size comparable to Great Britain and with just 4 million it is one of the least crowded place on earth, giving tourists with enough privacy and leisure. Its vast meadows, scenic mountain chains and steaming volcanoes all are fit not for thrill seekers who demand nothing but sheer pleasure. There are much more for those who seek rest and recuperation as well as. Its sweeping coastlines and well identified fjords have been ideal for honeymooners. Before human migration 75% of the land of the present day New Zealand was pristine forests there were no beings of the mammalian groups excluding bats. The isolated geography of New Zealand made it a haven numerous endemic species of animals, insects and birds (much of them like Moa became extinct due to human interference) kiwi, kakapo, taka he (all flightless birds), many types of frogs, spiders, weta (deinacrida rugosa - largest insect in the world belonging to the grass-hopper group about six inches in length) they too are facing extinction. Katipo a poisonous spider is also peculiar to New Zealand. Since 1990 New Zealand has opted for a free market and the bureaucratic impediments that bound the nation backwards have been unshackled now it has matured in to a modern economy still it continues to be heavily dependent on agriculture, horticulture and fishing as well as lumbering. Telecommunications, railway and even radio have been privatized for increased efficiency. In Human Development Index New Zealand stands 19th among world nations. About 65% of its GDP comes from services sector while that of industry is less than 28%. The strange thing remains that New Zealand although a strong ally of the west remains the first nation which signed a free trade agreement with China (2004). Only 5% of the land is used for agriculture and 30% of the land area remains as forest, these forests are virtual gold mines as rich timber is available in abundance, the government is against over exploitation of the forest and they are well protected for. New Zealand is rich in mineral resources like natural gas, iron ore, coal, river-sand, gold, lime-stone, silver etc. It has proven deposits of oil also making it a safe bet in any sort of energy crisis; its rivers give abundance of hydel power. People of New Zealand are a game loving lot; rugby remains as the prime attraction, but cricket is also a very prominent game (New Zealand cricket team is a power to reckon with), foot ball, bowling, golf, kayaking, cycling all are very popular games played here. It would be worthwhile to remember that it was New Zealand which hosted the first Rugby World Cup in 1987. New Zealand’s National Rugby Team ‘The All Blacks’ is a world winner. New Zealand’s total population is about 4 million; of which 80% are of European origin (the Maoris call them Pakohas and they are comprised of the British, Irish, German, and Italian ancestry). Christianity is the main religion but other religions like Buddhism, Judaism and Hinduism etc also exist. The Maoris constitute the biggest group among the minorities (about 15% of the total population, they enjoy special privileges under the law framed exclusively for their protection and well being). 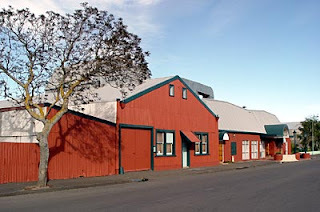 There are schools to educate Maori culture and Maori TV is engaged in protecting and educating this culture. Among various minorities there are people of Asian ancestry most of them are Buddhists but there are people who follow Hindu trait also. It is a pleasant thing to note that they all live in very cordial atmosphere. Of all the good aspects of this nation this truly secular government approach seems to be the most notable.